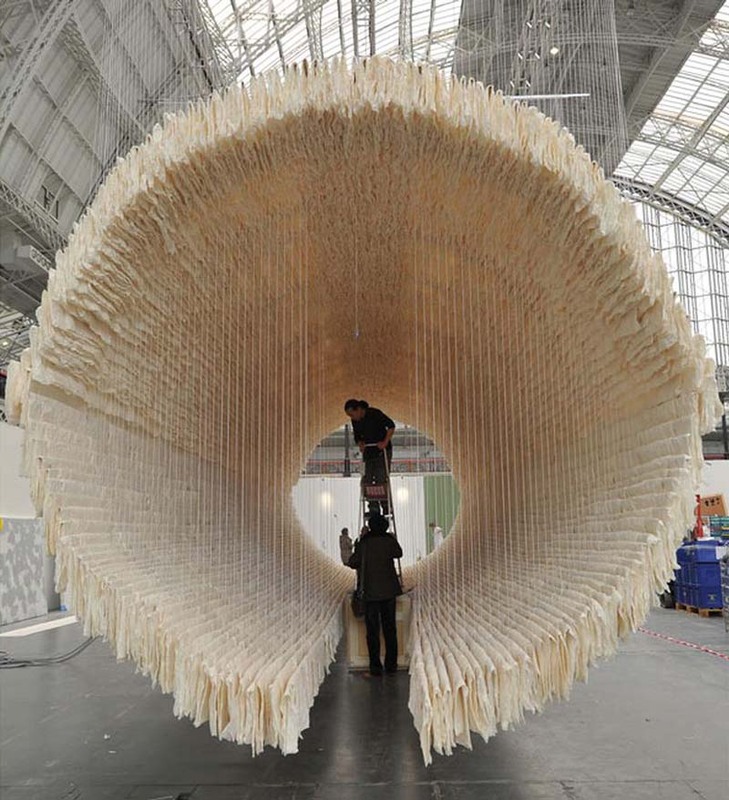 Consisting of 8,000 sheets of rice paper, 800 shafts of bamboo, and cotton, the 12-meter long structure titled Boat was presented last month at Art13 London by Chinese abstract artist Zhu Jinshi. 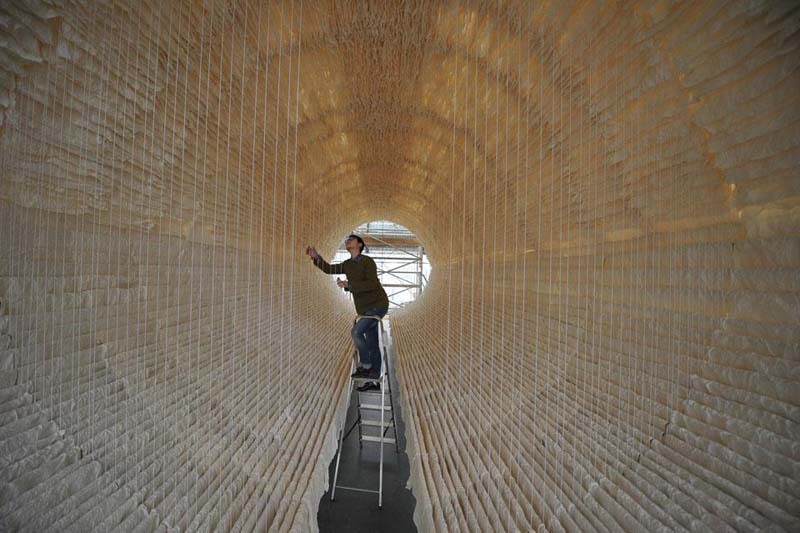 The impressive installation was assembled over a three-day period by a crew of workers from Hong Kong who delicately layered the historically- and culturally-relevant paper onto the bamboo poles. The Boat acts as a metaphor with both western and eastern significance: the artist’s personal voyage from east to west; as well as honoring the dead’s passage from living to afterlife, something that Chinese viewers would recognize from the meaning of the Chinese character for ‘boat’. Even time travel could be insinuated by the spaceship quality of the interior.